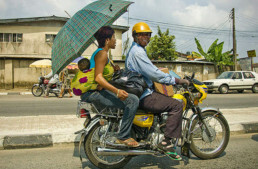 The rapid diffusion of motorcycle transport has positive effects on the lives of Africans, both in urban centers and in the countryside, as noted in our previous article. But the ubiquitous Chinese motorcycle has also increased jihadist’s nuisance capabilities, especially the infamous Boko Haram sect. Very active in Nigeria (where it was founded in 2002), Boko’s abuses have spilled over to neighboring states of northern Cameroon and Chad. 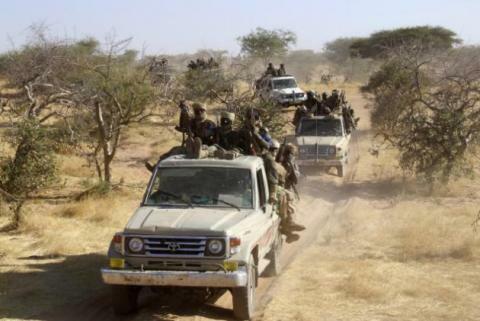 The Mandara Mountains have long been a haven for the Boko Haram bases, from which flash attacks into Cameroon began. 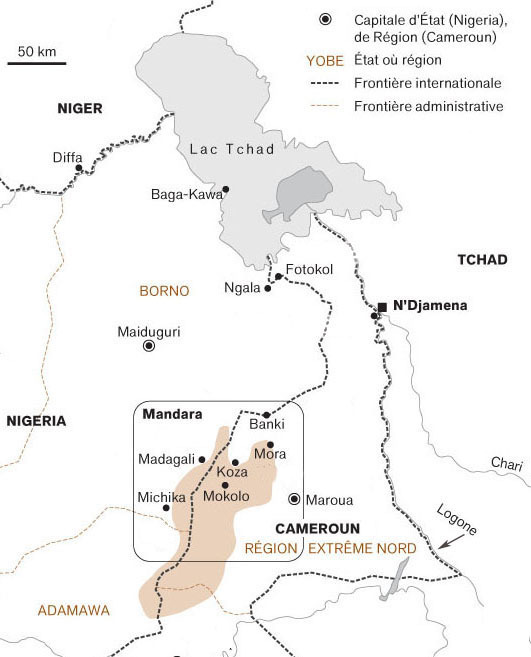 The Cameroonian army, backed by Chad, forced direct clashes with the jihadists, who then moved further north to Lake Chad itself. The tactics of the jihadists have been described by Christian Seignobos, director of studies at the Institute for Research for Development (IRD). He spent about fifty years between Nigeria, Chad and Cameroon, and in his latest book on the subject – ‘Des Mondes Oubliés’ (‘Forgotten Worlds’; IRD Parenthesis Editions) – he’s illustrated his text with drawings made with with a feather dipped in Chinese ink. 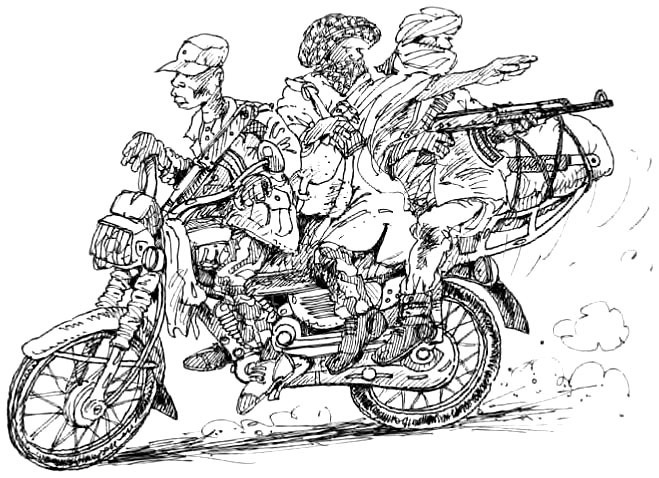 Many of his remarkable drawings depict what he calls “the motorized Cossacks” of Boko Haram. 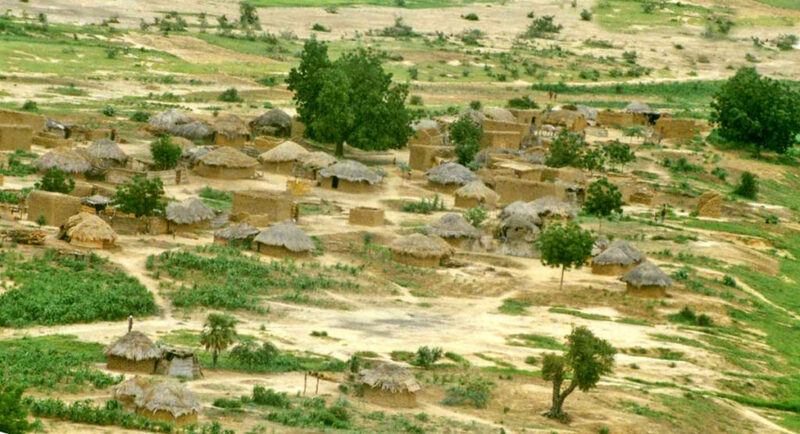 The armies of Chad and Cameroon are suspicious of the loyalty of villagers, who are promised benefits by Boko Haram (contraband, rewards for ‘services rendered’, and even regular wages), especially when they share a common religion. 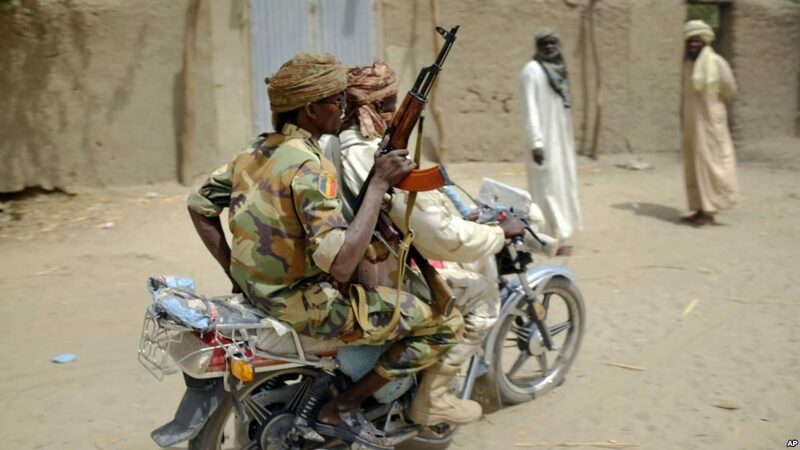 In order to curtail the movements of jihadists, the Chadian army has launched an operation of requisition and destruction of ‘suspicious’ motorcycles. By moving to the complicated and ever-changing shores of Lake Chad, the jihadists have secured a territory conducive to their fight, while moving ever further from their home base in the Mandara Mountains, and the surrounding plains. 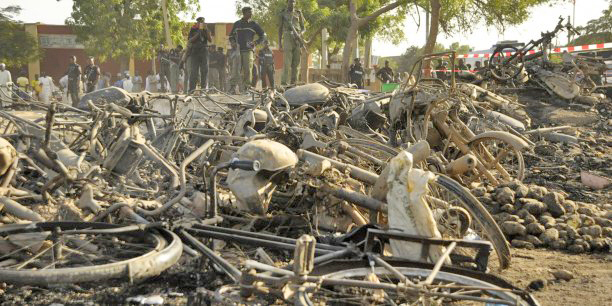 From Lake Chad, they direct multiple terrorist actions, using girls and boys (especially girls) as suicide bombers, who blow themselves up in crowded marketplaces and cafes. Lake Chad is shrinking from year to year, but with an area of 2500-8000 square kilometers remaining, it offers plenty of space for jihadists who know how to use strategic opportunities. 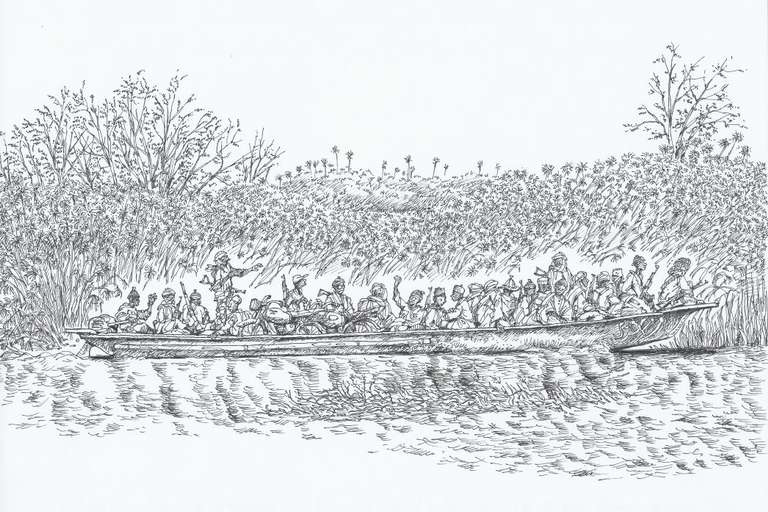 They move from one island to another in long dugout canoes that can carry twenty fighters and a few motorcycles. They thus become amphibious, hunting their prey on the earth and the water. 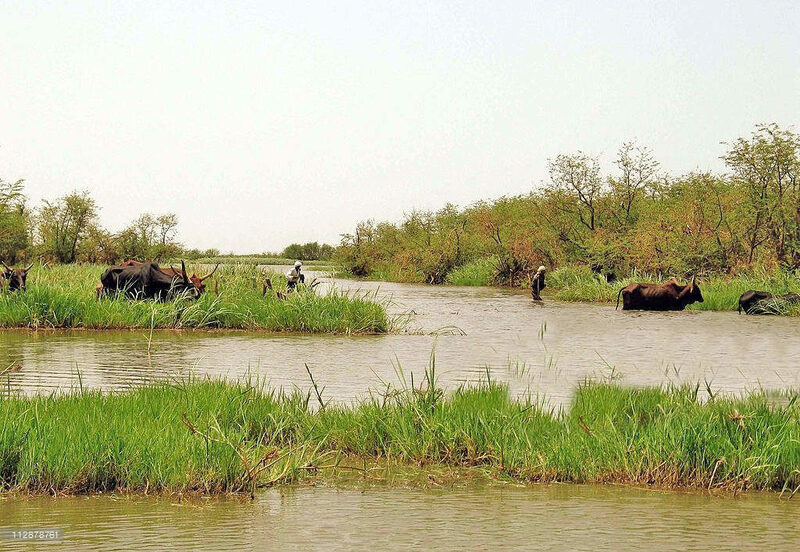 Boko Haram’s boats are modeled on those used by lake’s fishermen, measuring from 12 to 17meters long (36′ to 50′), and motorized by 25 to 40hp engines. The largest boats can carry nearly a hundred jihadists along with a dozen motorcycles, according to Seignobos. Protected from view by the abundant plant life bordering the lake, and covered with camouflaging foliage, their boats merge with the scenery, are invisible from the sky, and sneak through the maze of shallow channels surrounding the islands in Lake Chad. On the mainland, Boko Haram finds it difficult to refuel its motorcycles with gasoline provided by smugglers in Nigeria and Cameroon. And recently, all two-wheelers are systematically destroyed by the army with each clash. 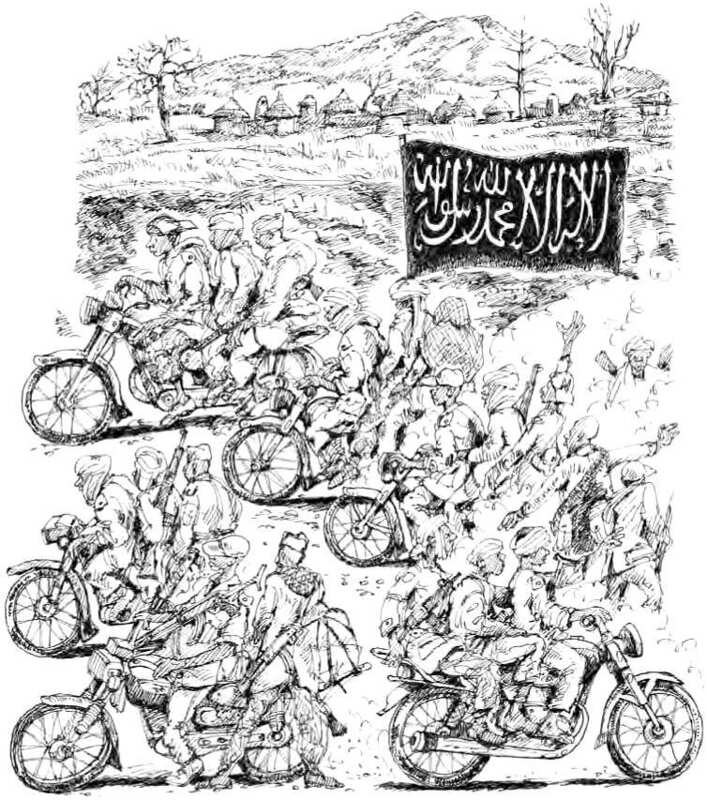 Boko Haram has quickly adapted to the loss of their motorcycles, with the jihadists moving onto horseback or camels, especially during the rainy season which floods the lowlands, prohibiting the movement of any motorized vehicle. The response of the military has been to forbid the population to ride on horseback! 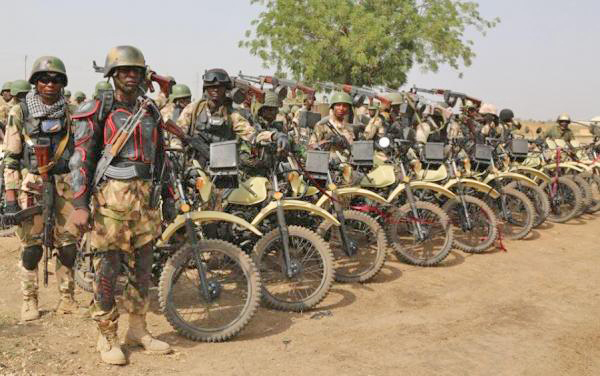 The Nigerian government has created its own motorcycle units to fight Boko Haram on its own terms. The BIR (Rapid Intervention Battalion) of the Cameroonian army also patrols Lake Chad aboard large, heavily armed Zodiacs. But for a daring soldier, the most effective and unobtrusive solution has been to use a motorcycle taxi ‘requisitioned’ as required. The risk for the ‘volunteer’ rider is whether to die refusing, or die as an accessory to a terrorist act. These are the criminals that have kidnapped large groups of NIgerian school girls. Calling them ‘insurgents’ is far too positive a moniker. 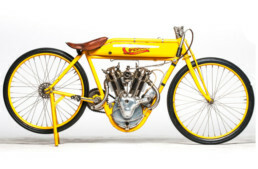 Shame they’re associated with motorcycles…. Remember that Bin Laden escaped to the warplanes, tanks, Hummers, aircraft carriers …with a moped no so easy to localize with a radar ( it’s my black humor..). A group of illiterate thugs and rapists, the lowest of the low. Unfortunately this is what you get in failed states like Nigeria where there is no law and order, just criminals competing for whatever is available to take.